It's an easy way to make extra money! Bring in last year's outgrown items and earn money for this year's new goodies! Help save the planet by reducing waste and reselling your gently-used goods. When it comes down to it, Wee Ones is just a great marketplace for local parents to buy and sell their items to each other in an easy, no hassle way! We do our best to maintain a clean, organized place to shop that is lots of fun for all ages. By letting us sell your items, you can avoid the time-consuming process of trying to sell them yourself. Who really wants to try to sell to strangers off Craigslist or deal with Ebay fees, shipping, emails, pictures and descriptions, etc... you get the idea! Just swing by the shop, drop off your items and we'll do the rest! Teach your children to reap the rewards too! 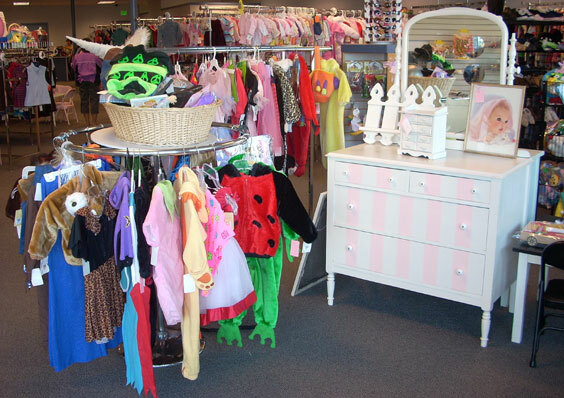 It's a great idea to start an account for youngsters who will learn that when they bring in their items and toys to sell, they can earn money for new things. We've found that kids who know they may be reselling their things tend to take care of them just little better, too! Keep your spending dollars in Whatcom County. Not only are you purchasing items from friends/neighbors and local moms, you are supporting local jobs and a company who cares!